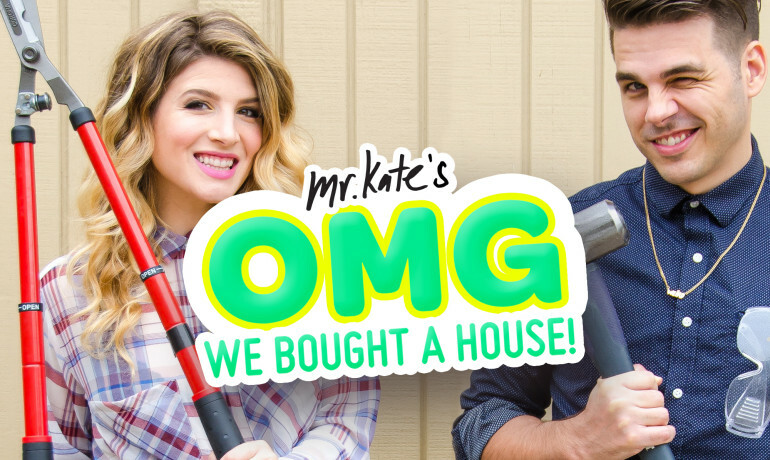 Mr. Kate Studios is an omnimedia lifestyle company based in Los Angeles, California making life fun and beautiful one creative project at a time. We produce home, style and beauty content and products including daily multimedia content for digital platforms (YouTube, Instagram, Facebook, Snapchat, etc. . .) as well as operate a product line of style and design accessories that are sold via our various e-commerce channels and wholesale accounts. We are all about creating quirky, beautiful, fun and inspiring lives for everyone within our team and for everyone who consumes our content and products. If you think working at Mr. Kate would be your ultimate dream job, check out the various openings below! We are hiring temporary employees to assist in our shipping department in Los Angeles fulfilling orders through the holidays. Position would run from November through the first week of January. Ideal candidate would be detail oriented, okay with repetitive tasks, enjoy the challenge of a fast paced working environment, have reliable transportation and flexible to work weekdays and weekends depending on what’s needed. Please email us your resume, why you would like the position and your most competitive hourly rate to jobs@mrkate.com with the subject line “Seasonal Shipping Associate via mrkate.com”. Any submissions without this subject line will be ignored. Our ideal intern has a desire to learn within a fast paced multi-faceted media company. We create awesome content and awesome products, so every task you can imagine falling under those two worlds happens at Mr. Kate Studios. A general internship may provide hands on opportunities across content production, product development and management, business development and management, as well as general administrative and office tasks. Our ideal art department/interior design intern has a knowledge and desire to learn more in the field of art production, art direction, DIY projects and interior design. Internship may provide hands on opportunities alongside our art department with creative duties ranging from small scale DIY projects to full scale interior design projects including all stages of the interior design process from measuring and floor planning, budgeting, buying and implementation. Our ideal marketing intern has a knowledge and desire to learn more in the field of digital marketing and business development. Internship may provide hands on opportunities with social media marketing, market research, analytics, marketing campaigns, business development, strategy, branding, live event activations, mailing list outreach and optimization, budgeting, promotional/marketing calendars, as well as general business administration and office tasks. Our ideal media production intern has a knowledge and desire to learn more in the field of multimedia production. Internship may provide hands on opportunities in content ideation, market research, all stages of production including on-set experience, editing, digital platforms, data management, video and photo software, production equipment, as well as general content administrative and office tasks. Our ideal product intern has a knowledge and desire to learn more in the field of consumer products. Internship may provide hands on opportunities in product development, design, sourcing, manufacturing, e-commerce management, wholesale management, order fulfillment, customer service as well as general administrative and office tasks. Eager to jump into a team of fast, productive, and creative thinkers. Open to all ideas and an outside of the box thinker. Have a desire to learn through hands on experience across the many different tasks that go into running and growing an omnimedia lifestyle brand. REQUIREMENTS *(exceptions may be made if you do not qualify for either of the above requirements but you must include in your email to us that you are unable to meet one or both of those requirements so that we are aware of that when considering your application). this is not a paid internship (*unless you are unable to get school credit – please see note above in requirements). Please email us your resume and tell us about yourself and why you would like this internship, what you look to gain from the internship, when you would be able to start you internship and when it would end, what your academic requirements are for the internship (*please see note above under requirements) and and why you think we should consider you the perfect fit for the internship. Please make sure the subject line is “Applying for (insert internship category) via Craigslist”. We look forward to e-meeting you! MR. KATE STUDIOS is looking for a new editor to join our Los Angeles team. The position will initially be 3-4 days a week, 8 hours a day, at our studio in mid-city Los Angeles, with the potential for the position to turn into a full-time gig. We are shooting, editing, and uploading new content daily to YouTube, Facebook, Instagram, Snapchat, etc. . . The ideal candidate needs to be a very quick editor with an eye/love for style, great comedic timing, love and knowledge for creating digital content, edit in Premiere Pro, and have previous experience working with reality footage (we shoot a lot of reality content like this: https://www.youtube.com/watch?v=7mU82naZhHw). 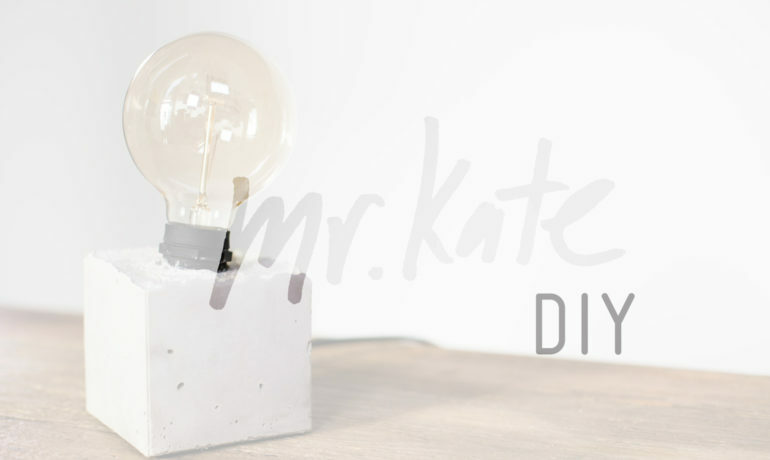 You can check out our YouTube channel http://youtube.com/mrkate and website http://www.mrkate.com/ to get a sense of the style of content we are making. Please send us an email telling us briefly about yourself and why this position seems right for you and include your resumes, a link to an editing reel or links to sample work that is in a similar style to our content and your most competitive hourly rates with the subject line “Video Editor for Mr. Kate via mrkate.com” (emails without this subject line will be ignored). We are looking for an AE/DIT hybrid to both assist on set and in studio with our video and photo production. Position would a combination of on-set and in office work. Candidate must have reliable transportation. Candidate ideally has a Macbook Pro and experience working with Premiere, After Effects, Photoshop, Illustrator and Lightroom. Any additional editing experience, and on-set experience is a major plus. Please send resumes along with a brief run down of why you would like the job, your most competitive hourly rate and any samples of work you may have to jobs@mrkate.com with the subject line “Assistant Editor for Mr. Kate via mrkate.com”. (emails without this subject line will be ignored). We are a small team growing quickly and are looking for an exceptionally organized and experienced individual to come join our company full-time as a Product Manager to help us manage our current lines, and expand into new areas. Develop training materials for support staff, shipping dept, factories, etc.. Assist in preparing all marketing materials for new product launches. Meet with management on a regular basis and provide updates, insights and analytics. Manage e-commerce listings, inventory levels, etc..
An understanding of millennial buying desires, trends and habits. Ability to work well under pressure and within tight deadlines. Impeccable communication skills and ability to manage other people when necessary. Enthusiastic self-starter mentality – good with direction, but also able to formulate plans and ideas with no outside input. Ability to work independently and take feedback constructively. Willingness/eagerness to work overtime and/or weekends when necessary. College degree, preferably with a concentration relating to the world of products/business. 2+ years professional product related experience (ie. : product development, product marketing, product management, fabrication, etc…). Position is full-time. Compensation will be based on qualifications and experience. Candidate should submit a cover letter including why they are the perfect candidate for the job, a resume with previous education and employment history (including hourly rates or salaries of previous employment), all applicable skills you possess for the position, references that we may reach out to, and any links or attachments of previous product work if you have any. Please make the subject line of your application: “Applying for Product Manager via mrkate.com”. Any submissions without this subject line will be ignored. Thank you so much, and we look forward to reviewing your submission! Are you an experienced product sales rep? Do you want to be a key player in expanding the product side of Mr. Kate? 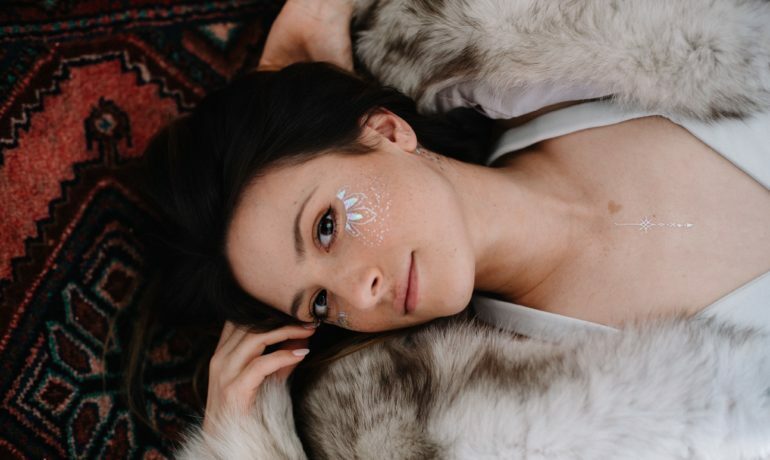 We are looking for a skilled salesperson who has a ton of wholesale sales experience who can shepherd the Mr. Kate product lines into retail stores. Position would be commission based and the ideal candidate would be familiar with/a fan of the current Mr. Kate lines, and have previous sales experience in the fashion/accessories industries. Job would consist of brining on new wholesale accounts, maintaining and growing existing accounts. 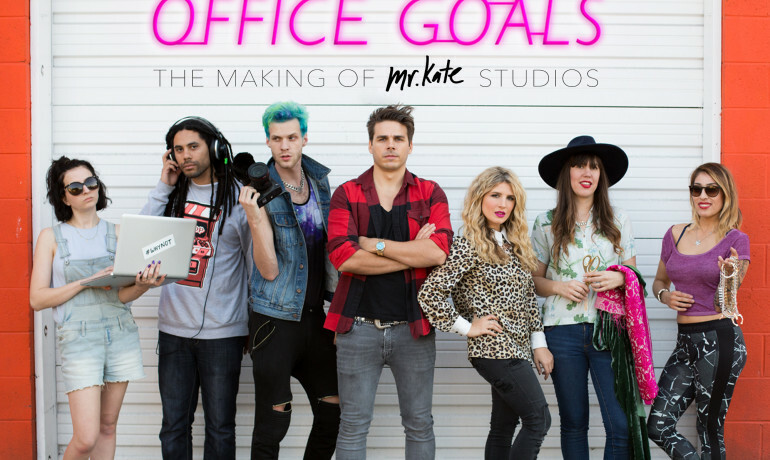 Please email your resume, a brief description about yourself and why you would be the perfect candidate to jobs@mrkate.com with the subject line “Sales Representative via mrkate.com”. Any submissions without this subject line will be ignored. Do you have a passion for graphic design? We are a very visual company and are always looking for part-time designers to help with the website, marketing materials, video assets, products and packaging. Candidate should submit a cover letter including why they are the perfect candidate for the job. Please also include links or attachments of example work that relates to the topics we cover, a resume with previous education and employment (including hourly rates or salaries of previous employment), all applicable skills you possess for the position, and references that we may reach out to. Please make the subject line of your application: “Applying via mrkate.com for Graphic Designer”. Any submissions without this subject line will be ignored. Position would be part-time and in our Los Angeles office. Still reading? Still Interested? Send us your stuff! If you don’t see an opening that fits you, but you have a specialty you think you could bring to the Mr. Kate team, you can shoot us an email with your resume and how you’d like to contribute to Mr. Kate at jobs@mrkate.com. We are always looking for new fun people to work with!